Uglyworld #1654 - Bather Of Sweeties - (Project TW - Image 235-366), a photo by www.bazpics.com on Flickr. Afters being so dissapointereds at Babo already offerings some tastiers goodies at what will soons be her new cookies shopper, I hads to finders a way to makes myself feelers better. 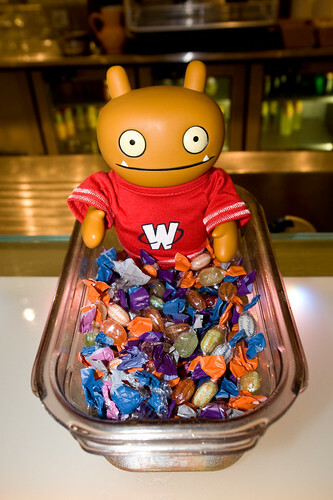 While sitterings at the hotels bar I had a brainwaver, and ones that the barmans could helpers me outs with, I needereds to has a baths full of sweeties, yups, you hearereds me rights, a baths full of sweeties!!! And befores you knows it, looks what I hads...!! !